There are times when life gets in the way of playing, and practicing is falling short. Real short. Like zero activity. Don’t worry, that can happen. There’s no reason to panic. The trouble really starts when more and more time passes and your guitar is getting from dusty to rusty. That’s when the alarm bells need to go off. At this time your mind is creating it’s own illogical explanation for not getting behind the instrument. It’s going to rationalize your absence of regular woodshedding. You will start telling yourself these stories like, “I’m always late from work”, “I’m just too old for this”, “My fingers are getting sore or stiff”, “I have my kids to take care of”, “I just don’t have what it takes”, or “I’m just too tired”. There are a zillion of those you can come up with. Just stop making those up! They are all worthless excuses. Don’t believe them for a second. They are things you choose to tell yourself, but they are not real. They are lies that crawl up because you don’t play. You got to play to get back in the groove! Set a guitar practice goal: A song, a solo, a riff, anything. Practice for 30 minutes every day for 30 days with purpose, dedication, patience and persistence. And set a timer! Along those 30 days you will already start feeling different. You’ll see progress in your playing and all kinds of things start happening. The way you think and feel changes completely. You will learn again why you wanted to do it in the first place and why you love it so damn much. Everything will start making sense again. Your excuses will diminish, your doubts will fade away and your excitement and passion will rise again. You will see what practicing unfolds. 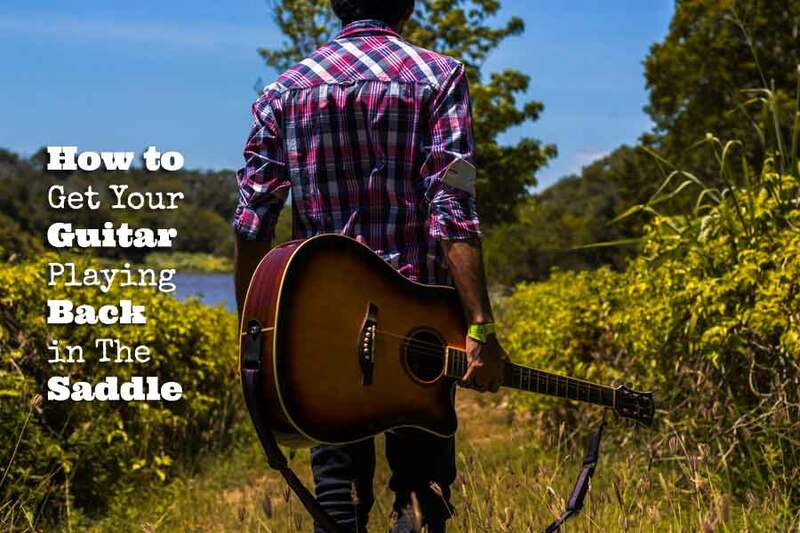 The payoff will flow through your fingertips and you will become a better guitar player. The habit keeps the playing alive and kicking. So first practice, and talk later. Start your 30 minutes right now!